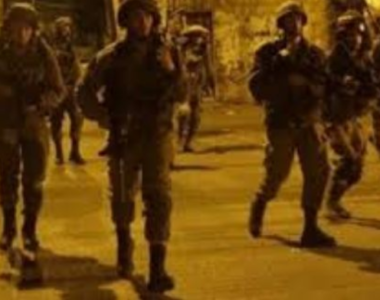 Israeli soldiers invaded, on Wednesday at dawn, Dahiat az-Zira’a area, located between the al-Jalazoun refugee camp, and Doura al-Qare’ village, north of the central West Bank city of Ramallah, and abducted seven Palestinians. The al-Jalazoun Media Center has reported that the soldiers invaded and searched many homes and interrogated several Palestinians while inspecting their ID cards. It identified six of the abducted Palestinians as Abed al-Qadi, 25, Ahmad al-Qadi, 27, Odah al-Qadi, 22, Mohammad Mahmoud Abu Nasra, 23, Fadi Darwish Abu Srour, 39, and Tareq al-Tarifi, 27.